It’s always hard to find the words to even begin to convey the hours and minutes, the days and weeks, of human experience. We go through our lives sharing bits and pieces with those we love, with those with whom we have acquaintance, and with total strangers. We love the highlights, the top 5 lists, and the superlatives. Best day ever, worst day ever. Firsts and lasts. But what about the ordinary days? What about the moments in between? What are we missing in the small snippets of time that so often escape our notice? We so often beg God to let us see Him work. What if His hand in our lives is already visible, yet buried under a mountain of moments we hold up proudly, glistening in the light? What if His voice already speaks to our hearts, yet we shout so triumphantly that we smother His quiet whisper? I don’t have any big, trophy-worthy moments to share from Argentina. I did not single-handedly save the country or revitalize the church. I did not have an earth-shaking experience that dramatically altered the course of the rest of my life. If you’re looking for that kind of story, I’m afraid you’ll be disappointed with what I have to offer. 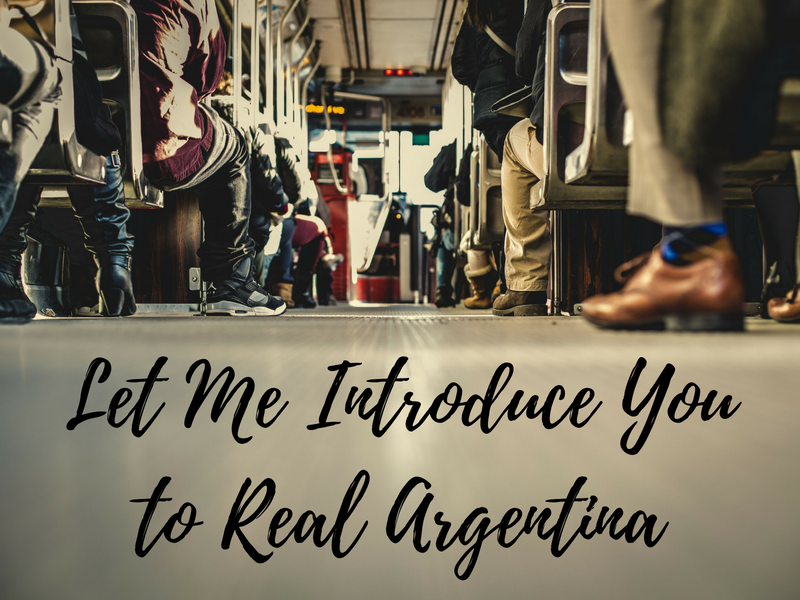 I’d like to give you a small chance to meet “real Argentina,” through the eyes of a nineteen-year-old foreign girl. Real Argentina looks like walking through cracked and pitted streets, some paved, some packed dirt. It often looks like garbage strewn about the edges of the roads, in ditches filling with mud from yesterday’s rainstorm. It looks like waiting at countless bus stops, some covered, some marked by a single sign, and some whose identities are known only by those who frequent them. It looks like cramming onto crowded buses, pressed up against a sea of humanity. It looks like quietly slipping out of your coveted seat to allow a mother and her child to rest their weary legs. Real Argentina looks like sitting in plastic chairs around tables in tiny, colorful houses, tasting some of the love and joy that fills the house to the brim. It looks like brainstorming creative ways to engage the neighborhood kids in afternoon Bible clubs, making use of the miniature front yard. It looks like tea and pastries, and slips of paper with English words being arranged to form sentences for the very first time. Real Argentina, as portrayed by the people I met and lived with for a while, looks a whole lot like a family. God’s family. The family that transcends social status, that reaches past country borders, and that brings everyone in to sit at the table. I went to Argentina to learn and serve. I had the pleasure of being able to serve children, teens, and adults by working on English with them. I had the joy of traveling, working, and praying alongside of another intern, Ellie. Together we held Bible clubs in two different neighborhoods, taught dozens of lessons, and shared the gospel with a twelve-year-old girl. Even in the most ordinary of those moments, God was with us, and He was working. In others, but also in us. In watching these people serve each other and passionately spread the Word of God, I was challenged. Their love for God and commitment to each other provided a beautiful example to me. I learned that the gospel does not stop with me. I am like an Olympic torchbearer, entrusted with a vital flame, and instructed to pass. it. on. Every aspect of my life is about one thing: His Great Commission. Every waking moment, I am a lightbearer for the King of kings. I am living my life to bring His truth to the nations, starting with those right beside me every day. I am devoting my life to the furtherance of His kingdom, and that changes everything. That changes the small moments. That changes the everyday. That changes how I choose to spend my time, and what (really who) I choose to invest in. One of my favorite Jim Elliot quotes is a familiar one to many of us: “He is no fool who gives what he cannot keep to gain what he cannot lose.” The truth is, we cannot keep many things from this life; sometimes not even the memories. It’s far more profitable for us to store up treasures in heaven than to cling to the things of this world. I’m grateful for those who have taught me this lesson with their lives, both here at home and in Argentina, and I’m humbled to be able to follow in their footsteps in such small ways. I pray that although moving forward and growing in Christlikeness will be hard, God will continue to mold me into the image of His perfect Son, Jesus Christ. Whatever it costs me, wherever it takes me, whoever it makes me. 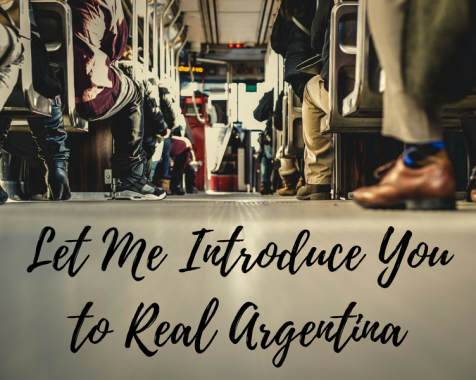 I had the privilege of meeting real Argentina this summer. Through the headaches of the bus situations, the stress of constantly changing plans, and the struggles with a language I was still developing, I saw God at work. I saw messy lives up close and personal, including my own. And every single moment was one hundred percent worth it. Because there’s nothing on this earth that’s closer to a taste of heaven than the joy of living, worshiping, learning, and serving alongside fellow members of God’s family on the other side of the world.